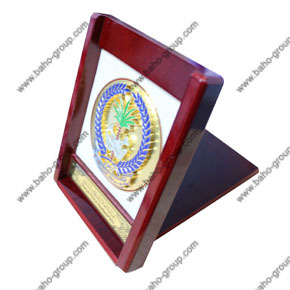 Elegant Design Wooden / Metal Plaque with color filling and etching on the metal plate. 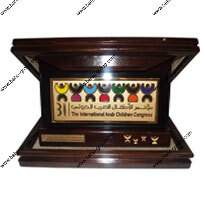 Wooden Box with glass cover. 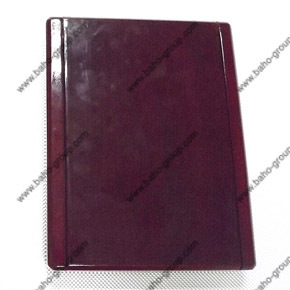 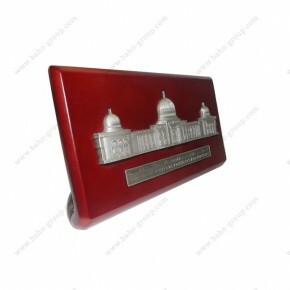 Special Shape of Mahogany Wood with metal plate. 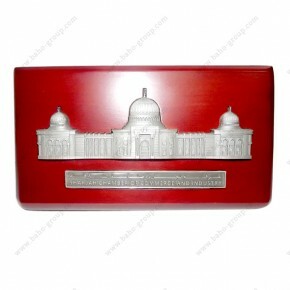 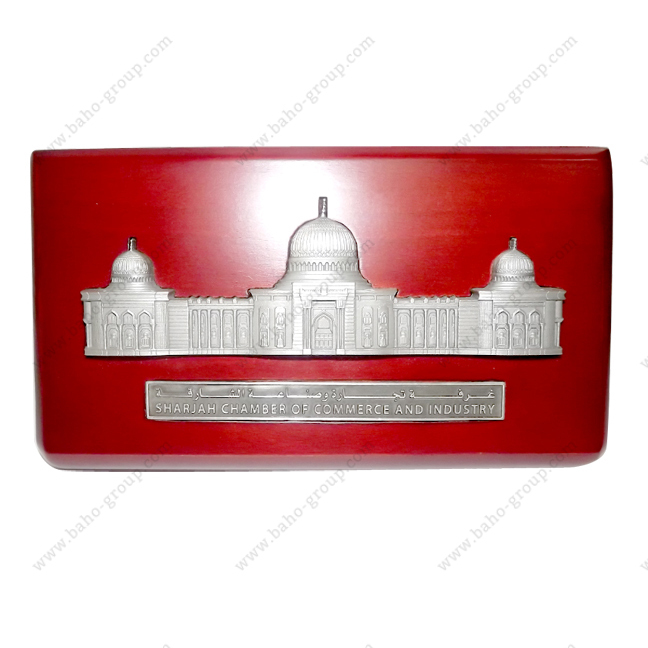 Customized Shape of metal as per the Sharjah logo with etching + metal rectangle plate with engraved text. 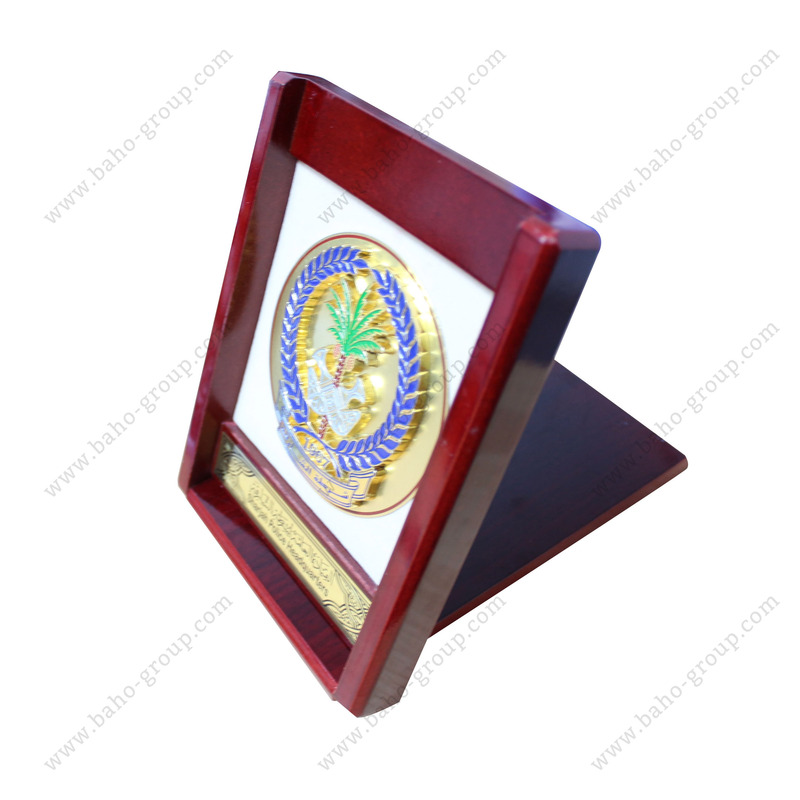 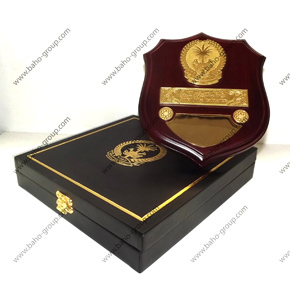 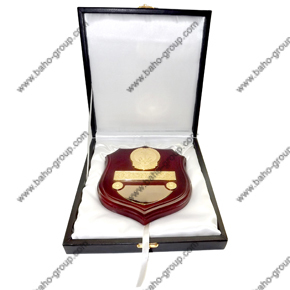 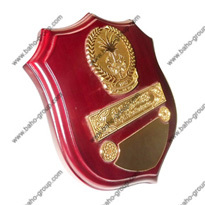 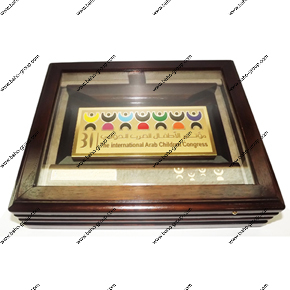 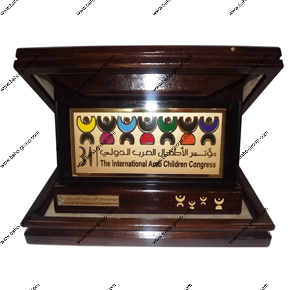 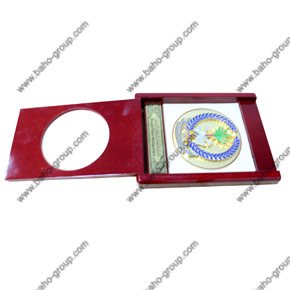 Dark Brown Wooden Plaque with wooden cover + Sharjah logo etching and color filling on the gold metal plate + rectangle plate with Company name engraved.